I file this dish as "Happy Wife, Happy Life" Tuna Casserole. This is one of those dishes that my wife will ask for when ever I ask her what she would like me to cook. But, to be honest... Hot fish casserole is not my favorite dish (by a very long way). But that's a personal taste issue. She LOVES this. The little Fish Crackers (get it, fish casserole, garnished with fish) are my favorite cracker. One of those, "bet you can't eat just one" bags of food that I would sit and eat every one. Brings out the inner 5 year old in me. 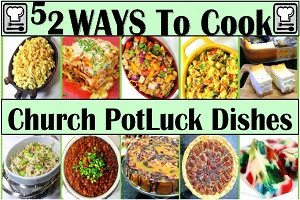 Which makes this a great casserole dish for a PotLuck, Family gathering, even fits into a Holiday meal for those folks who do not care for turkey. And speaking of a Holiday meal... How about saving this for a Left Over Turkey dish. Just change the tuna to turkey and you are set. But leave in the fish crackers. Meanwhile in a large ceramic coated Dutch Oven Casserole pot, heat the Olive Oil over medium high heat. Add Onions and red peppers. and saute until the onions cook through and begin to turn translucent. Add Cream, Sour Cream and 1/2 and 1.2 to the Casserole pot, stir to combine and mix. Add the cooked Pasta, 3/4 Cup Parmesan Cheese and Peas and the spices. Stir again to combine. Add additional milk as needed to thin sauce. Top with most of the cracker crumbs, fold, add final couple of tsp of crumbs and Parmesan Cheese to top. Bake for 1 hour until top becomes golden brown and delicious looking. Serve with additional whole fish crackers as garnish and ENJOY! Plenty Creamy, Plenty Cheesy and plenty of beer (OK, 1 bottle... But if you prefer you can always substitute Chicken Stock for the Beer). As always, cook with a regular bottle of beer, no Light or chemically altered beer. I like to shop and eat local for produce and for beer. Kansas City has their own Brewery, Boulevard Brewing Co. They are most famous for their Boulevard Unfiltered Wheat, a citrusy flavored with low bitterness beer... PERFECT to cook with! Of course the inspiration is the classic Philly Cheese Steak sandwich! The Sandwich that puts the LOVE in the city of Brotherly Love! Steak, Peppers and Onions, lots of Cheese and top everything off with a golden brown and delicious piece of garlic toast! Hearty, rib sticking, beautiful, filling and DELICIOUS!!! Heat three TBS Olive Oil in a large Dutch Oven. Add Onion and Carrots and saute for 5 minutes until the onion softens and turns opaque. Add garlic and saute for an additional minute. Add the bottle of beer and heat until simmering. Continue to simmer for 20 minutes to meld flavors. Transfer to a blender and blend until smooth. Return to the pot, add additional 4 cups Chicken stock and stir to mix. After liquid begins to simmer, add both cheeses, stirring again to mix and melt cheese. Simmer on low for another 20 minutes, stirring occasionally. While the soup is simmering, in a large saute pan, heat 3 TBS Olive Oil and saute remaining 1/3 pound each Onions, Peppers and steak for 6 minutes, until Onion has softened. Serve in bowls, adding additional steak and peppers as garnish, serve with a piece of Garlic Toast. Soup from Scratch is one of the great kitchen joys. The house smells amazing and the soup warms to the bone. From broth to chowder, vegetarian to loaded up chili... Even a great idea for a party (love the Potato Soup Bar idea). Come take a look, sure to have something you might like to try. All recipes have been tested and WORK! 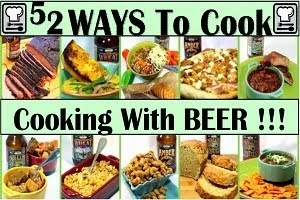 I have also made this one of my "52 Cooking With BEER Recipes"!!! Everyone knows about cooking with wine, but BEER has so much more complex flavors. I imagine the day after beer was invented, someone made an Irish Stew. Cooking with beer infuses recipes with this intoxicating concoction of hops and barley in an effort to enhance and enrich everyday food.. Come take a look, sure to have something you might like to try. All recipes have been tested and WORK! But sometimes I HATE EM! Have you ever had that limp over cooked, oil soaked serving of green beans that just taste over cooked and day old? Hate those. But, have you ever had those snappy beans, Al Dente, just a little bit raw, enough to have a snap and crunch, but warm and cooked throughout? Those are the ones I LOVE! The surprising thing is that cooking them properly actually is easier than that oil soaked over cooked nonsense. Only a few ingredients, Only a couple of quick flips or turns while on the heat and you have restaurant quality side dish. It is always the simplest dishes that taste the best! 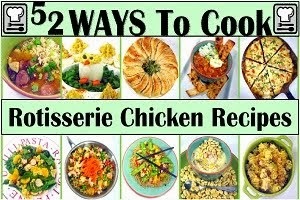 EASY - TASTY - And FAST!!! Over medium low heat, in a large saute pan, add 2 TBS Olive Oil. Add the shallot slices and saute for about 20 minutes until the shallots begin to turn caramelized brown. Add additional 4 TBS of Olive Oil and raise heat to medium high. Add the Beans and mix with the oil to coat. Saute for 5 minutes, moving beans around constantly in order to heat evenly. For extra flair points, do that TV chef thing and flip the beans around the pan. Taste Test the beans and make sure they are heated throughout but still retain some of their snap. Serve immediately, Serve HOT and ENJOY! This is a wonderful simple dish. Only draw back is that it needs to be served immediately after removing from heat. Which is just about the right amount of time to "rest" meat before cooking... Like these Pork Chops with beans and sliced tomatoes. Simple indeed but very tasty! This simple recipe has been added to my growing list of "52 Simple but Next Level Dishes"! Kind of an odd title for these posts. But the longer sentence is... 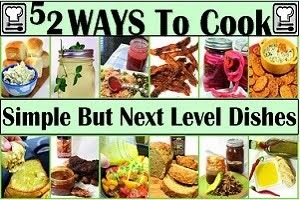 Simple recipes that are easy and inexpensive that will take your cooking to the next level... Things like easy pickled items (I always have a jar of Pickled Red Onions for sandwiches in my fridge). Or how about the easiest bread to make in the world... Beer Bread that is tasty on it's own but also makes a wonderful open face pizza style sandwich... With easy to make Tomato Sauce. Or how about Roasting Garlic for a spread on toast points for a unique appetizer. Infusing Oil with Herbs or spices or spicy peppers. 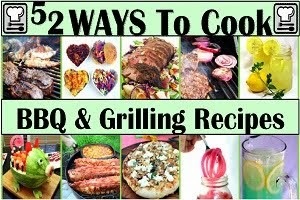 Or how about making your own BBQ sauce. Nothing sets you apart as a grill master like setting out a jar of your own specialty BBQ Sauce. Yes, yet another potato salad... But isn't this one pretty??? Unusual mix of ingredients, but very logical. Taters and corn, what could be better? But also this has the advantage of being NOT a mayonnaise based salad. meaning that this will stay fresh even if left out at room temperature during a large PotLuck (church dinner), family buffet or big Holiday meal. But let's get back to the taste. the sweet corn is naturally sweet, the vinaigrette used has plenty of honey for an Earthy natural sweetness... 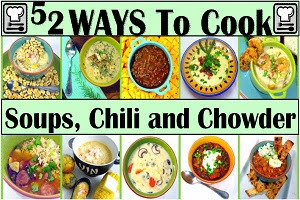 Pair all of this with (optional) jalapeno slices (You can use sweet peppers to get the look without the heat if you like). Zesty lime and hints of BBQ sauce makes for a full complex mix of tastes. The dish travels well... You can make this up in the morning, put in a covered dish while still hot, wrap in a towel and it will still be ready to serve hours later. In fact, the extra couple of hours will allow the flavors to mix better. Just one hint, it is always a good idea to mix the potatoes with the vinaigrette while it is still hot. The pores (yes, potatoes have pores) are open and the sauce is absorbed making it part of the potatoes. If you add sauce on a cold potato it is just a coating.... Better when added to hot potatoes, honest!!! Looks great, unusual mix of flavors and tastes fantastic! you and your guests, family and friends will LOVE this! While the potatoes are cooking, combine the ingredients for the vinaigrette (BBQ Sauce, Lime Juice and zest, honey, vinegar, garlic, cayenne spice and Salt and Pepper). Whisk together until mix completely. Thaw the corn under running HOT water for several minutes until warm. In a large bowl, combine the cooked potatoes, thawed and heated corn, pepper and green onion slices and the cilantro. Gently fold, to mix. Drizzle the vinaigrette over the potato mixture and fold again. Optional to garnish with Paprika. 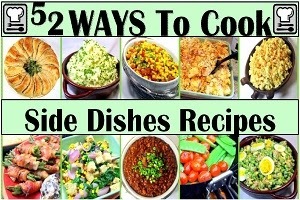 So, I am pleased to list this as one of my Growing list of "52 Ways to Cook Side Dish Recipes"!!! Sure the meat gets all the glory but real cooks know it's the spread... the specialty Side Dishes that makes a meal rise or fall. 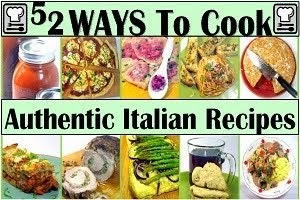 Here's a few of my favorite recipes that will help to create that illusive COMPLETE MENU! LOTS of Potato Sides, Vegetable Sides, Specialty Salads, Bread and MORE! 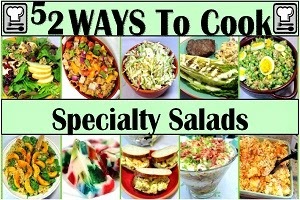 So, I am pleased to list this as one of my Growing list of "52 Specialty Salad Recipes"!!! Sometimes they are the main course, sometimes a lunch and sometimes they are the side dish... And if you count Jell-o salad you can even make a dessert of a salad. Here are a few of my favorite salads that get far more Ooohs and Aaahs than that simple chopped head of lettuce. Links include Potato Salads, Cole Slaws, and Plenty of greens and fixins' Salads... And more than a few matching FRESH MADE Jam Jar make it yourself Salad Dressings! You know the song... now know the BREAD PUDDING! I LOVE LOVE LOVE Bread puddings. Stale worthless bread is transformed into an amazing dessert (or a wonderful savory side dish... but that's a post for another day). This particular one is loaded with wonderful tropical tastes and flavors. Pineapple and Coconut (primary ingredients in a Pina Colada) are mixed with pecans and white chocolate chips (just to make it more festive). And then everything is mixed with a typical bread pudding (egg custard combines into a cake texture). I should address the sauce before you tackle the recipe. If indeed you are making this for a Church function, I would suggest the Virgin Rum Sauce. In place of the rum, use Coconut Milk to make the sweet sauce. Also, since there are so many sweet items in this pudding kids will naturally gravitate to this. If you are serving this to a family potluck, special occasion, consider having the sauce on the side as an option... Or even making half portions of both a Rum sauce and a Virgin Sauce. This is a beautiful pudding, delicious and makes a wonderful presentation. One of my favorite GOTO desserts whenever I am asked to bring something a little special! In a large bowl, combine the Milk, 1/2 and 1/2, Butter, Sugar, eggs, vanilla, Rum Coconut, Pineapple and White Chocolate Chips. In a 9X12 sprayed pan, add bread cubes. pour liquid over the cubes and gently mix with your hands. DO NOT OVER MIX but be sure everything is well coated and mixins are evenly distributed. Let stand for 15 minutes or until bread is softened and mix is soupy. Bake, uncovered, at 325° for 45 minutes or until a knife inserted near the center comes out clean. Cream butter and sugar over medium heat til all the butter is absorbed. Remove from heat and blend in egg yolk. Add Rum (or coconut Milk) to your taste, stirring constantly. The sauce will thicken as it cools. When the pudding is fresh out of the oven, allow to cool for 10 minutes. drizzle sauce throughout the top. Allow this to rest for 10 minutes before serving. 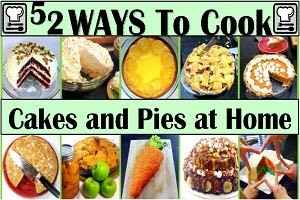 This simple recipe has been added to my growing list of "52 Cakes and Pies at Home"! 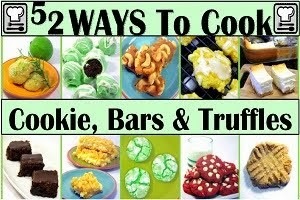 These are the desserts you make for your family. No fancy amazing wedding cakes, just the rustic beauty of the classics. From pumpkin pie to cheesecakes to layer cakes, these are what your family craves for dessert. You may even see a few unusual crusts and frosting ideas to try. CAUTION... Rubber Gloves Time. Habanero Peppers are about as hot a pepper as you can easily find at most grocery stores. there are hotter peppers but for the most part, these are the hottest you will find outside of a specialty store. When you make this you will want to use rubber gloves. The stems, seeds and inner white membrane needs to be removed. All that handling, slicing and trimming will release pepper oil. When that oil gets on your hands, no amount of washing will easily remove that oil. And after a bit that oil will burn your skin. Especially around your fingernails pr if you have any scratches. And God help you if you have any on your fingers and you wipe your eyes. Even using a rag to wipe your hands and then wiping your face with the same rag will become a torture session that would break Bond. Now you might think that this stuff is Sooo Hot that it is indigestible. So hot only the most adventurous eaters would even try a bite. And you are mostly correct. The natural sweetness of the raspberries does cut the heat a bit. The Jam process/recipe (Lots of Sugar) also balances the heat and sweet. But it is still too hot for me or most people to have on a piece of toast. this is a jam in name only. It is actually a mixer. My very favorite way to use this is to add a tsp to a bowl of chili or soup. If you know the people eating the chili, you can add a couple of TBS to a pot as it cooks if everyone is a HEAT fan. But my wife and I like different levels of heat in our chili. She like it mildly spiced, I prefer something between milk and HOT. Just a single tsp of this added to a single bowl and I am very happy! (as is my wife when I do not season the entire pot... Happy Wife, Happy Life). I also made some absolutely amazing BBQ Sauce. The jam acts not only as a sweetener for the sauce but also adds a spicy peppery ZING to a new favorite sauce! But that's a recipe for another day. Not only is fantastic tasting, but also gives you plenty of impressive Oohs and Aahs once your surprise guests learn that you made this yourself. This is a perfect example of why I like small batch canning so much. This makes 15 jars that will last the entire year. I did do a full 20 minute water bath that allows these to be stored on a shelf in the basement instead of taking up refrigerator space. Once you have a jar of this in your fridge you will come up with plenty of uses... Add a bit to a vinaigrette for a zip to a simple salad. Feeling in a southern mood, a pinch worth in grits... Hamburgers-Zippy... Meatloaf-WOW... even mixing this with store bought ketchup and your table is set for surprise from your family and friends!!! And it is VERY EASY TO MAKE! Combine Raspberries, Peppers, Apple and Lemon Juices and Pectin in a large sauce pan (non-stick works best for this). Slowly bring to a simmer over medium to medium low heat, stirring often. Simmer for an additional 20 minutes until the raspberries have broken down and most of the pan is liquid. Add all of the sugar. Mix, increase the heat and boil for 2 minutes. Ladle hot jam into hot jars, leaving a 1/4-inch headspace. Place lids and screw on bands fingertip-tight. Process in a boiling water bath for 20 minutes, adjusting processing time for elevation as necessary. Store and use as you like... and of course, ENJOY!!! Pina Colada Cake Mix COOKIES!